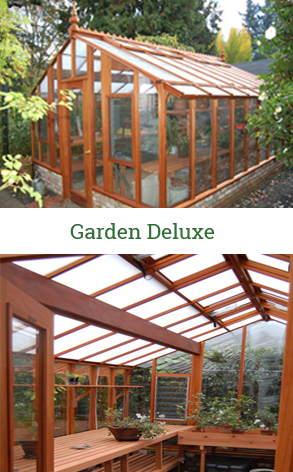 A classic design with attractive architectural details and lots of height make the Garden Deluxe a terrific space for gardening. 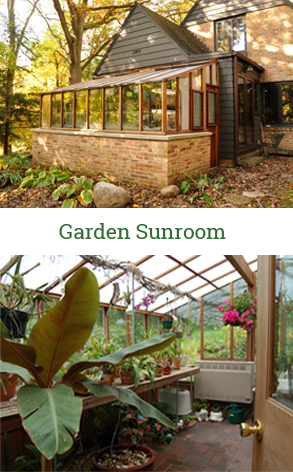 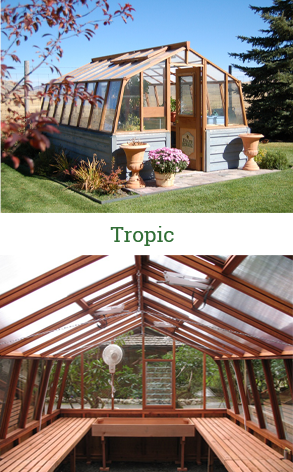 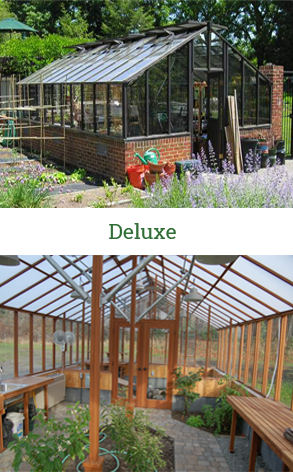 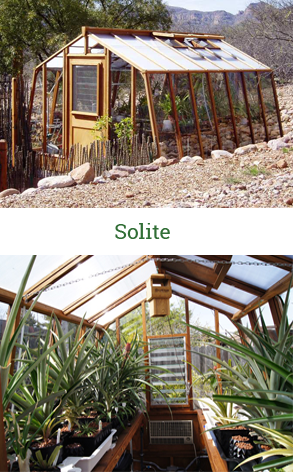 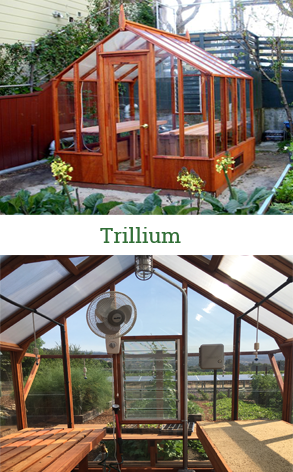 Enjoy spacious greenhouse gardening in a beautiful Garden Deluxe Greenhouse. 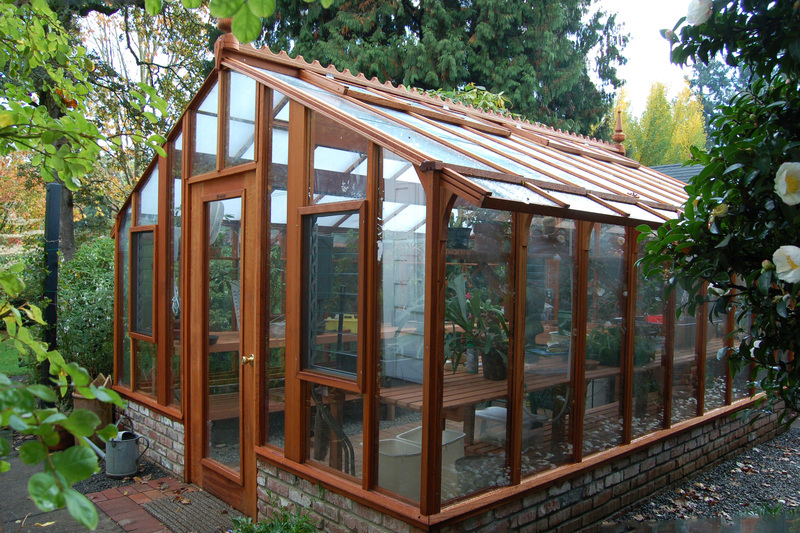 This greenhouse model has 60″ tall glass walls and an 18″ high base wall to create a 9′ tall greenhouse with lots of vertical greenhouse gardening space. 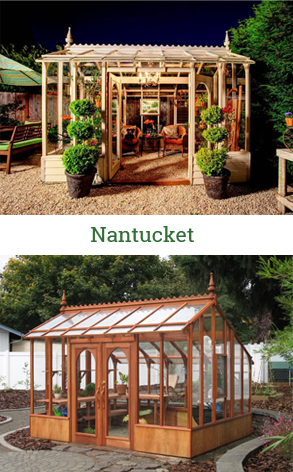 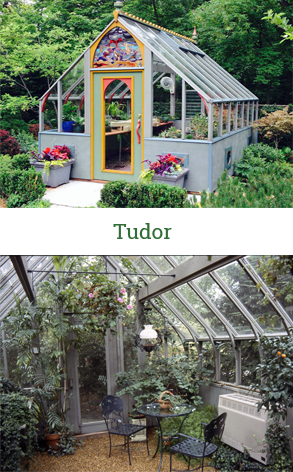 This beautiful greenhouse borrows the arched door and interior gussets from our Tudor style Greenhouse, along with a finial and roof overhangs from the Nantucket Greenhouse.